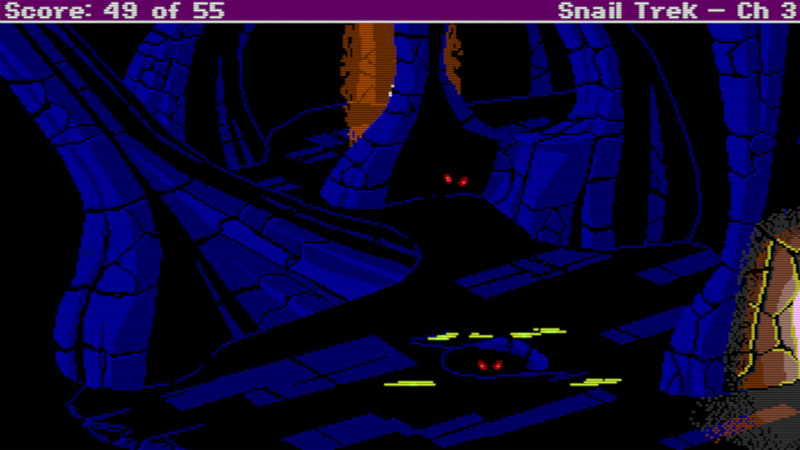 The complete “quadrilogy” of 20-minute adventures. 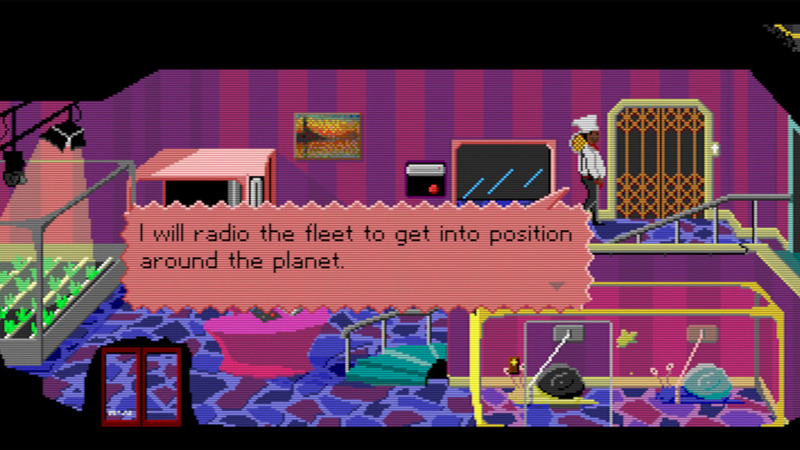 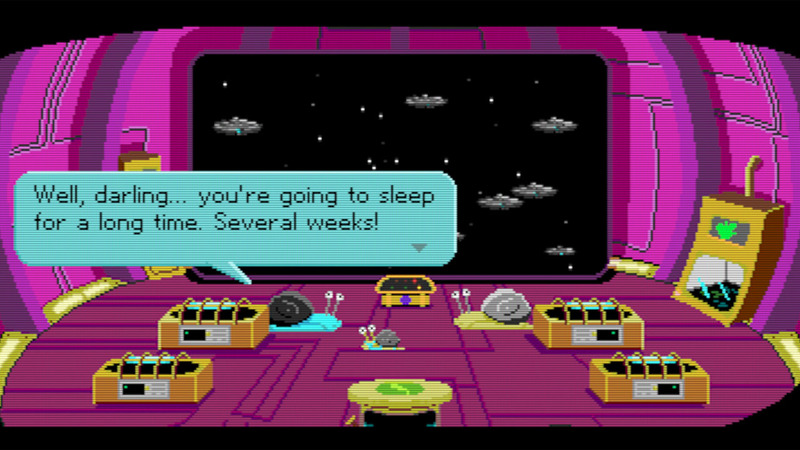 Complete four-part classic Sierra-styled sci-fi adventure available now for Windows PC. 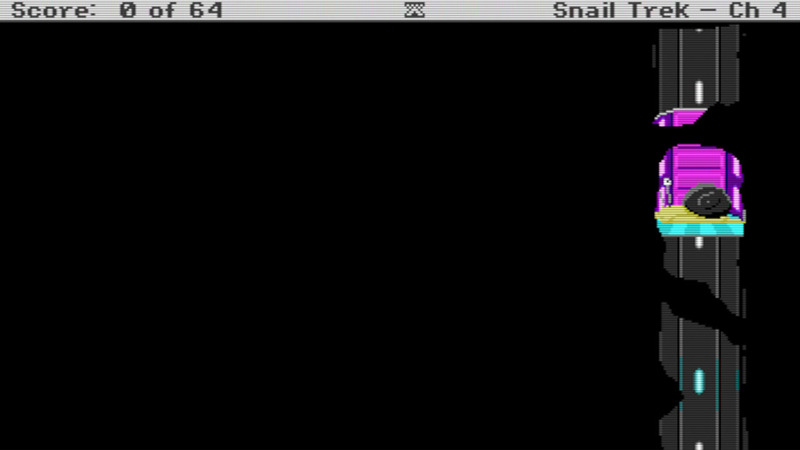 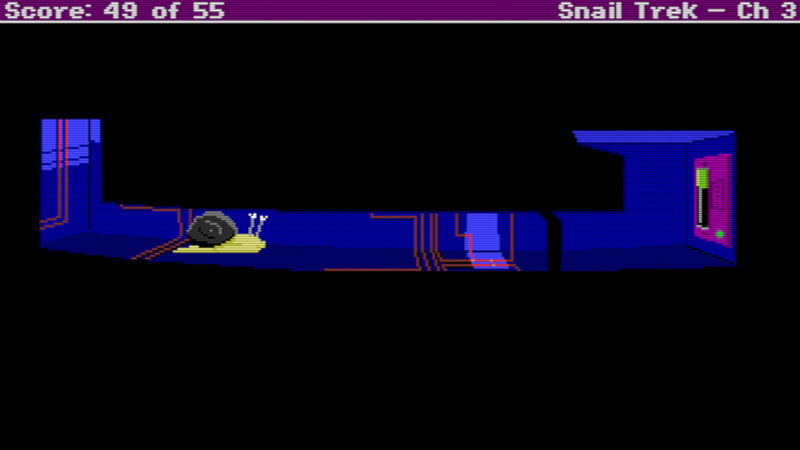 Stuck in Snail Trek, or looking for the best way to proceed? 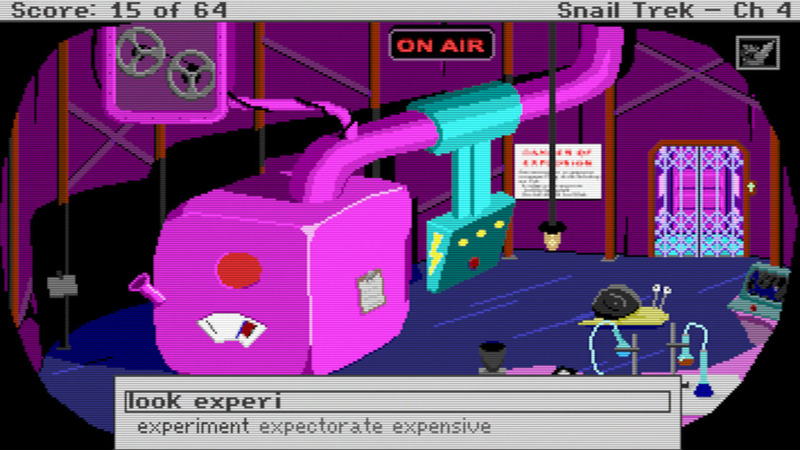 Click below to view our walkthrough for Snail Trek and wonder no more! 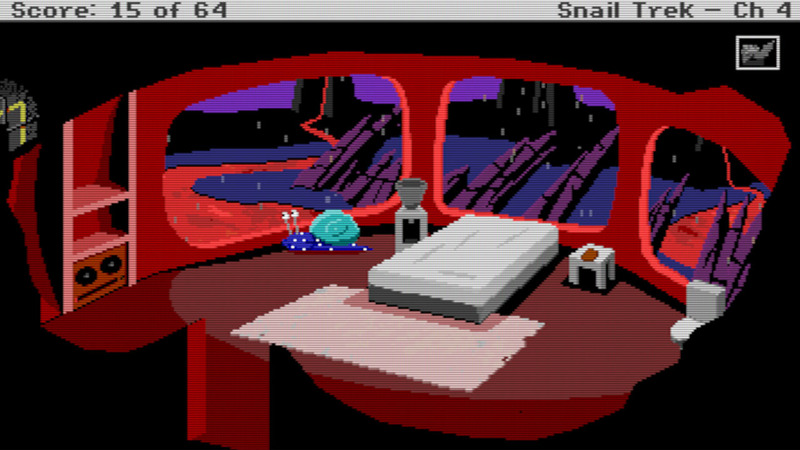 Snail Trek is an adventure game, released in 2018 by Phil Fortier. 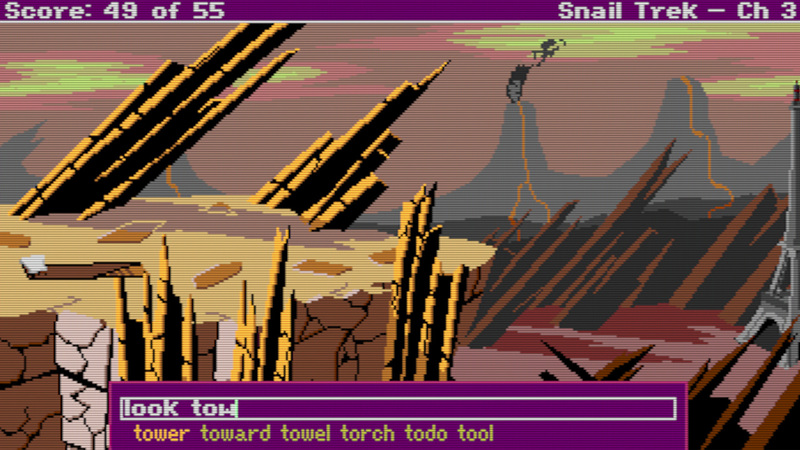 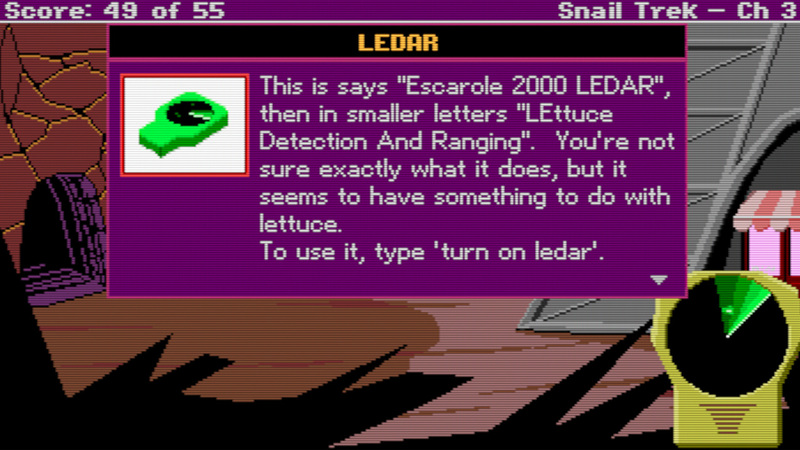 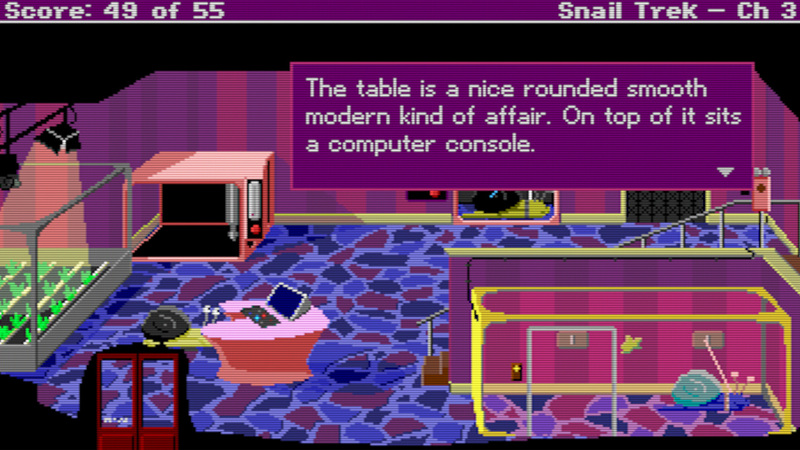 Snail Trek has a Stylized art style and uses a Keyboard, Point-and-click, Text parser control scheme. 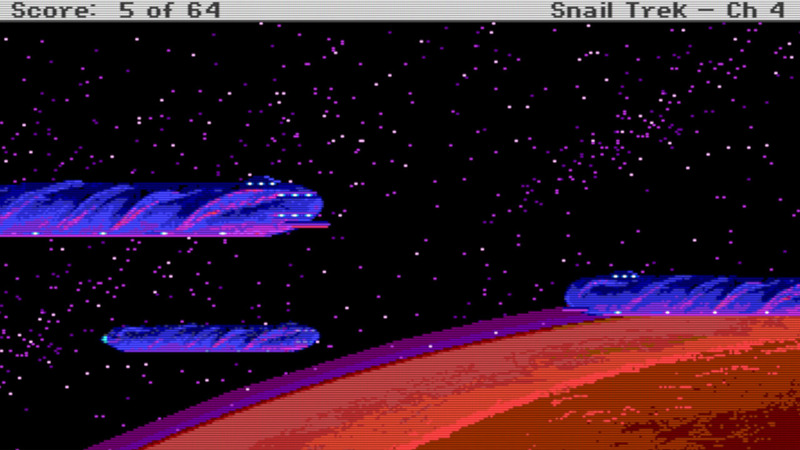 Adventure Gamers have not yet published a review of Snail Trek, meanwhile the community rating for Snail Trek is Good.